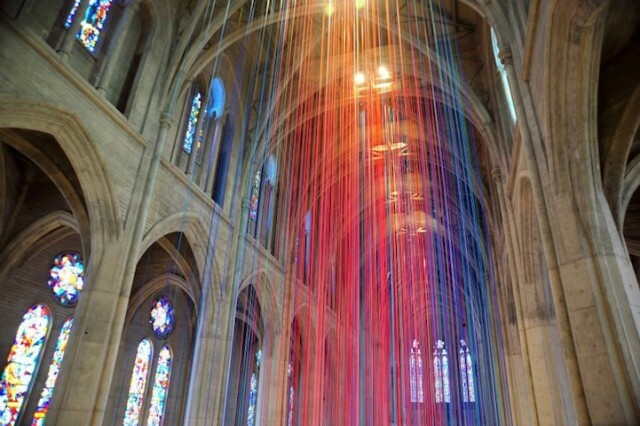 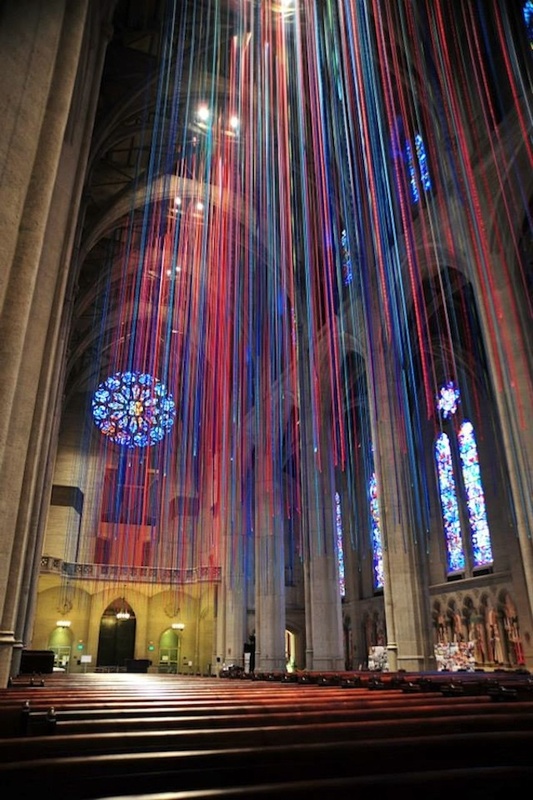 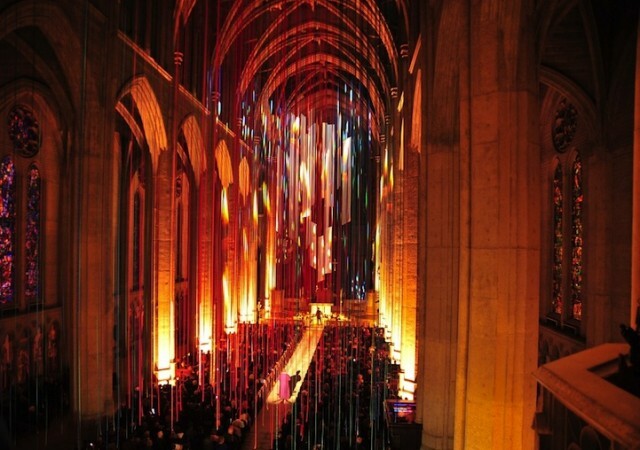 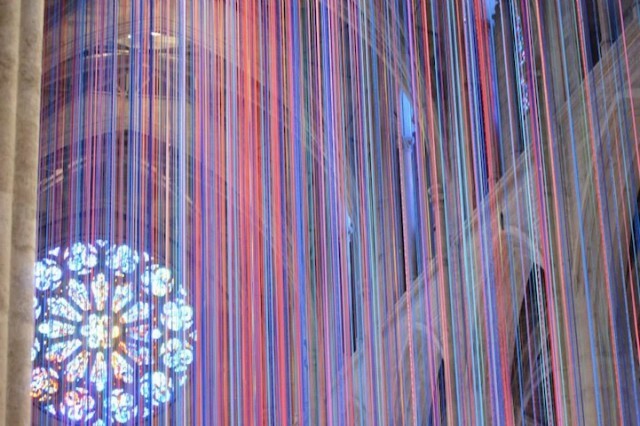 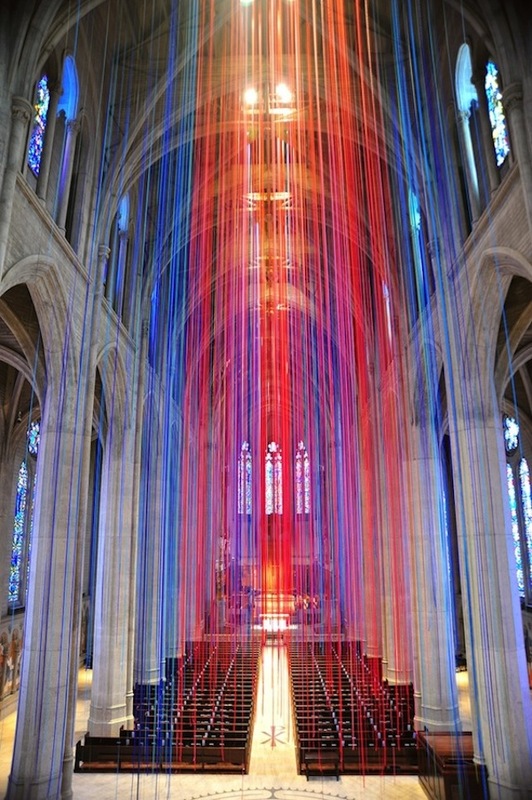 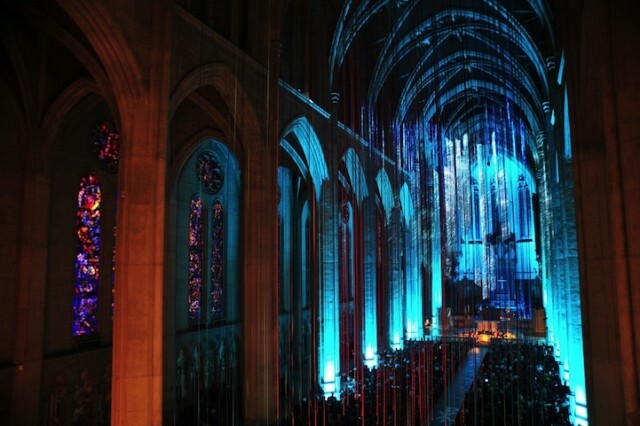 American designer Anne Patterson did an elegant installation to celebrate Grace Cathedral’s 100 years of music, in San Francisco. 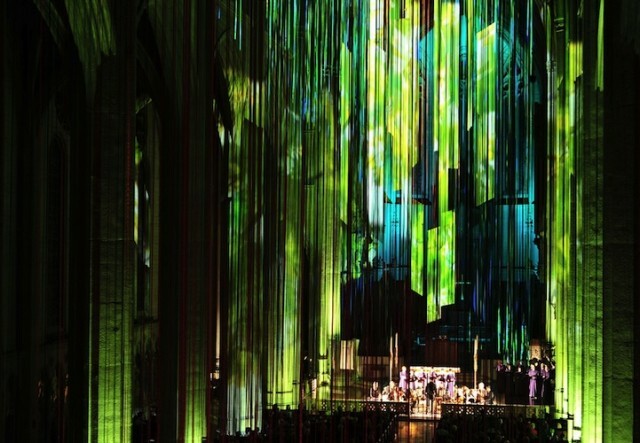 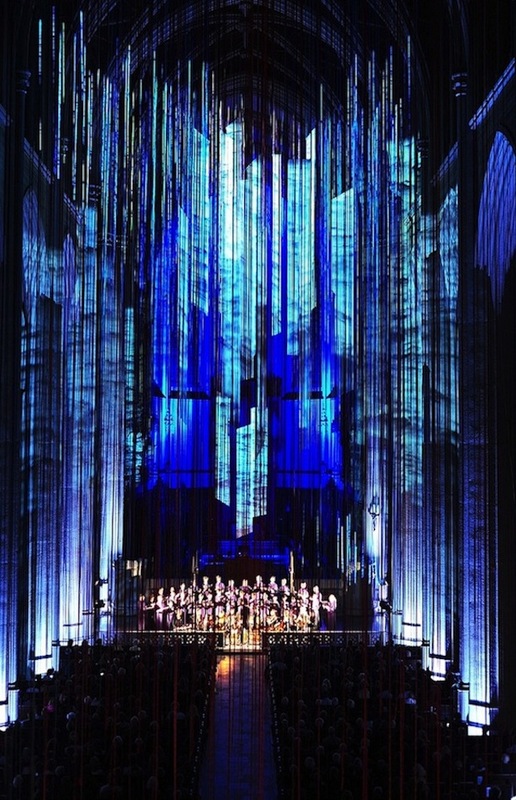 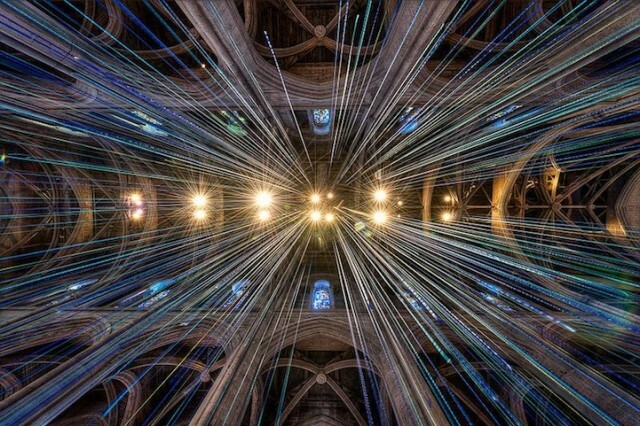 This visual creation wants to make the music played in this place more majestuous and profound with a connexion between sound and light. 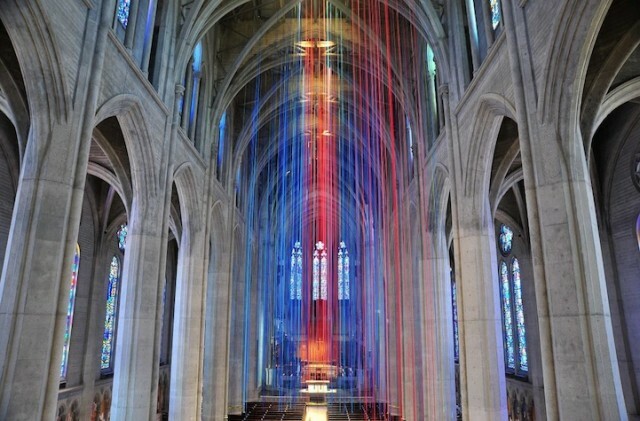 Ribbons used as trompe-l’oeil are here to symbolize rays of light as a way to connect the spirituel world to Earth, God to the terrestrial prayers who rise in the air.